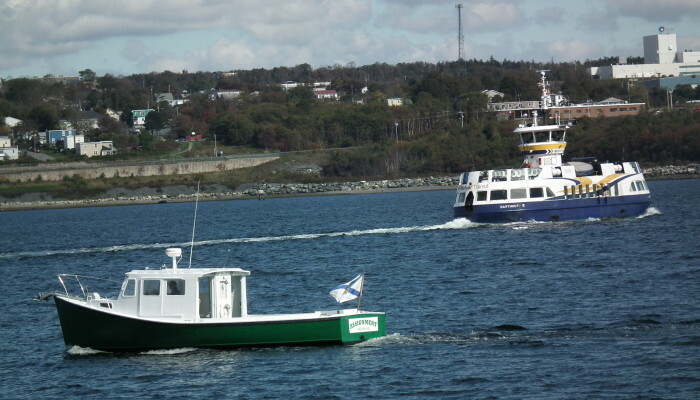 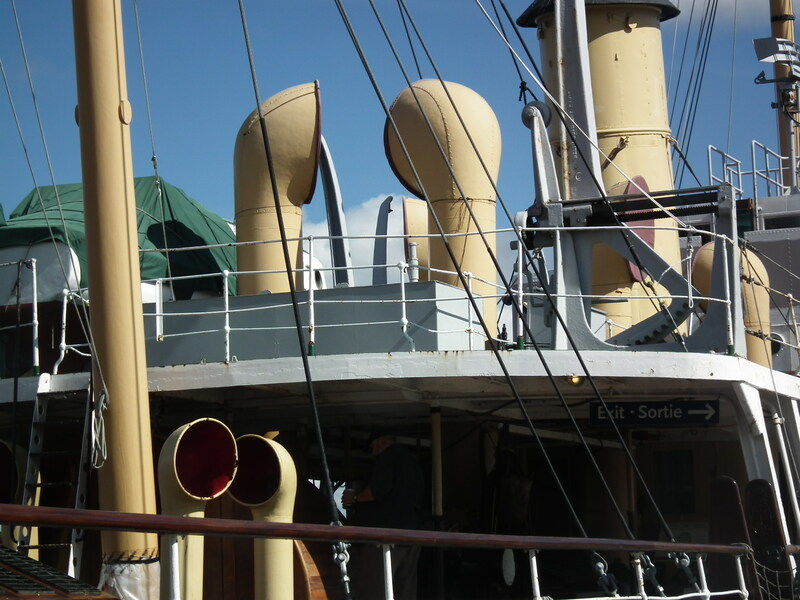 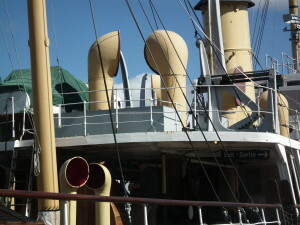 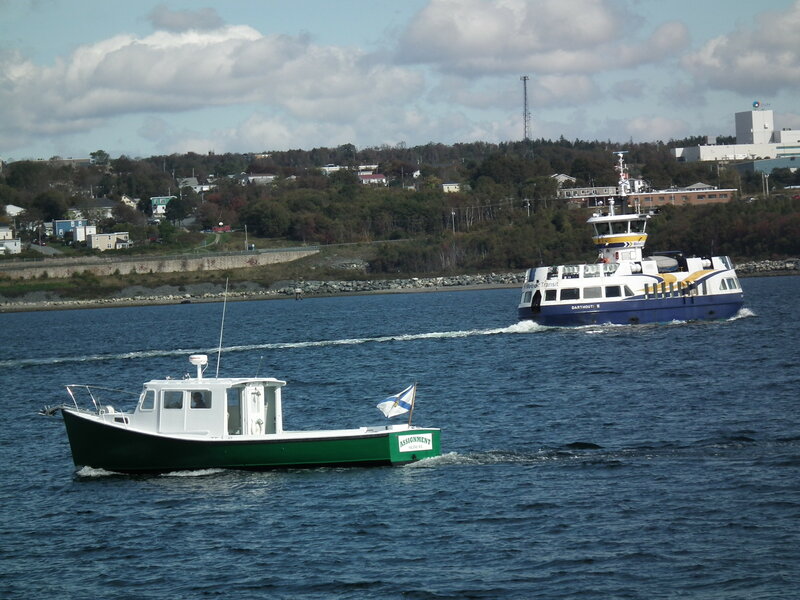 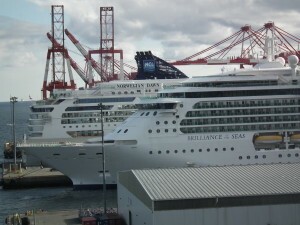 There is plenty to do in Halifax beside going to the Titanic graveyard or touring the excellent museum. 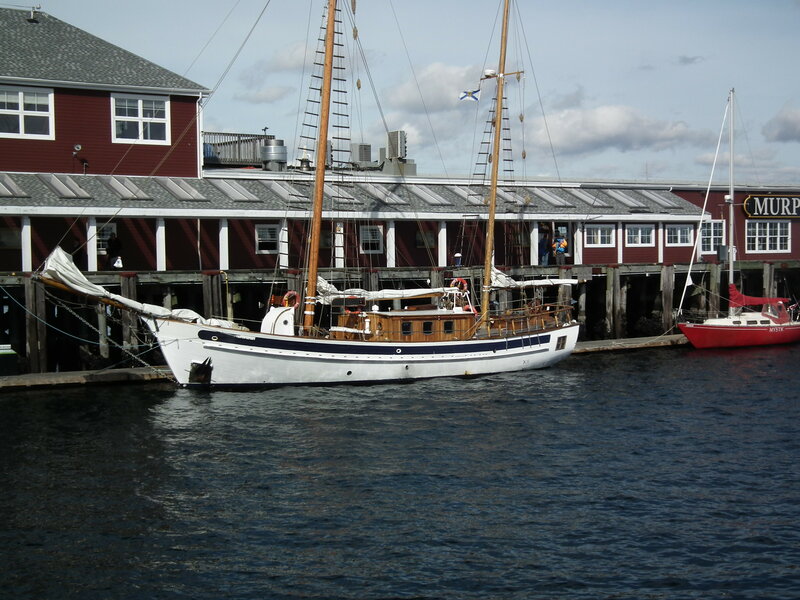 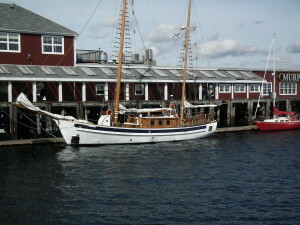 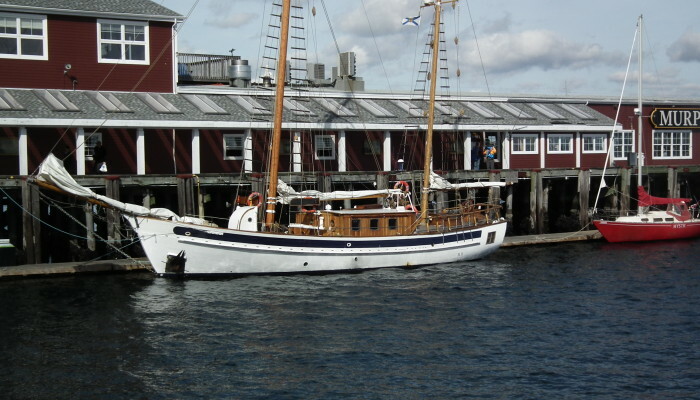 Sailing on day charters or whale watching…and then there is shopping! So, exactly how did they get that ship in the bottle? 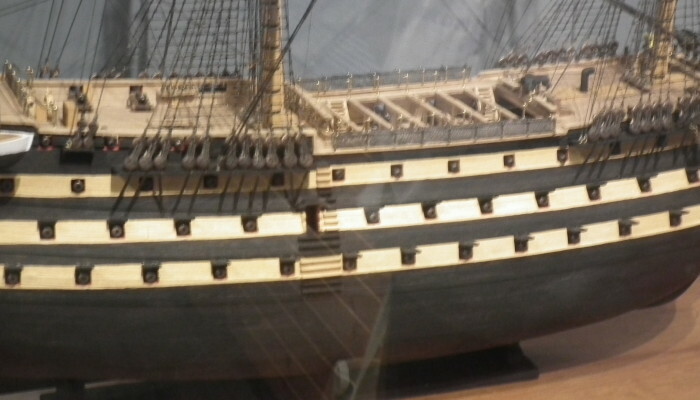 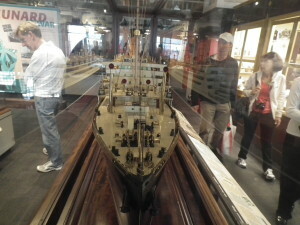 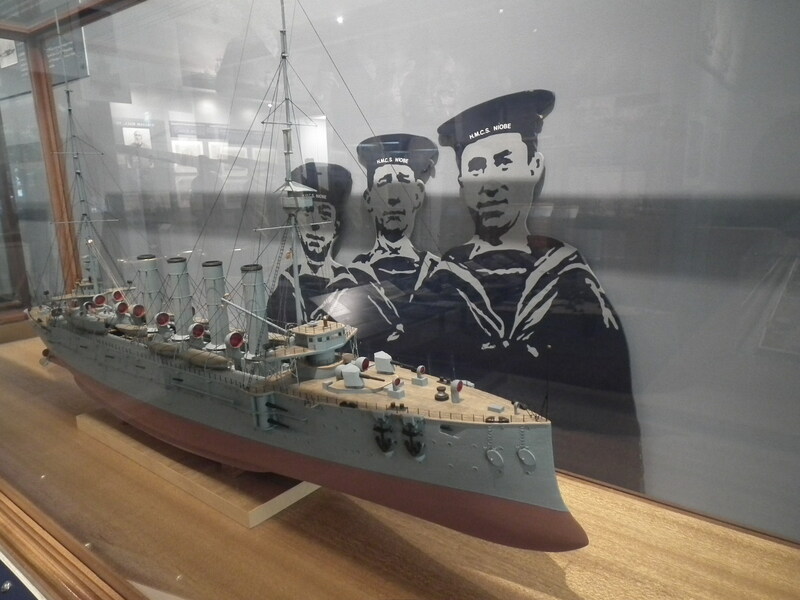 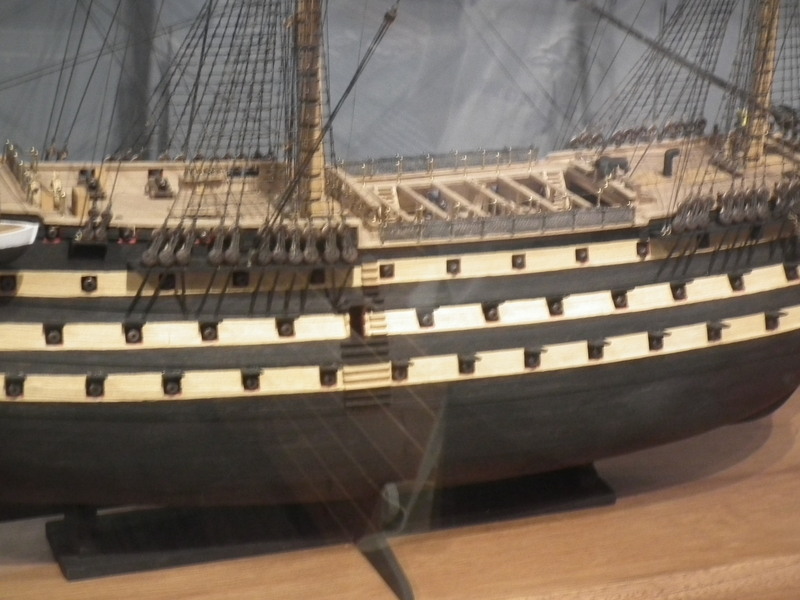 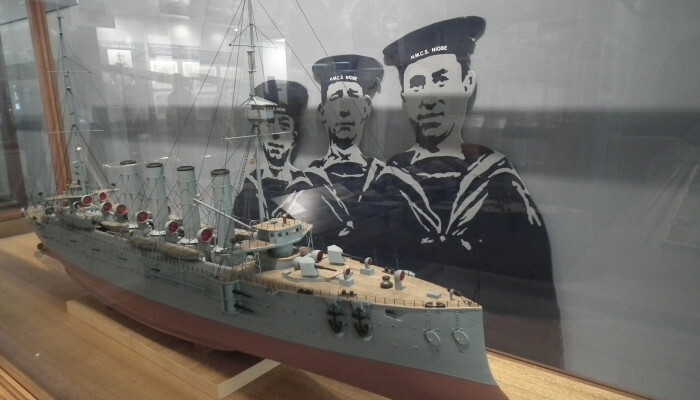 Models of ships and nautical gear telling the story of not only Titanic but of the evolution of sailing the seas fills the Maritime Museum of the Atlantic. 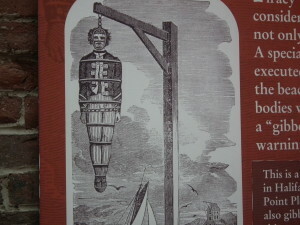 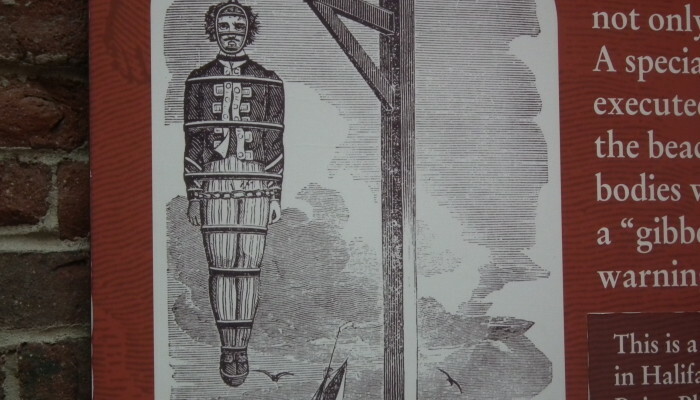 This is a gibbet where mutineers and pirates were hung in racks like this after they hanged by the neck until dead (hung if you prefer). 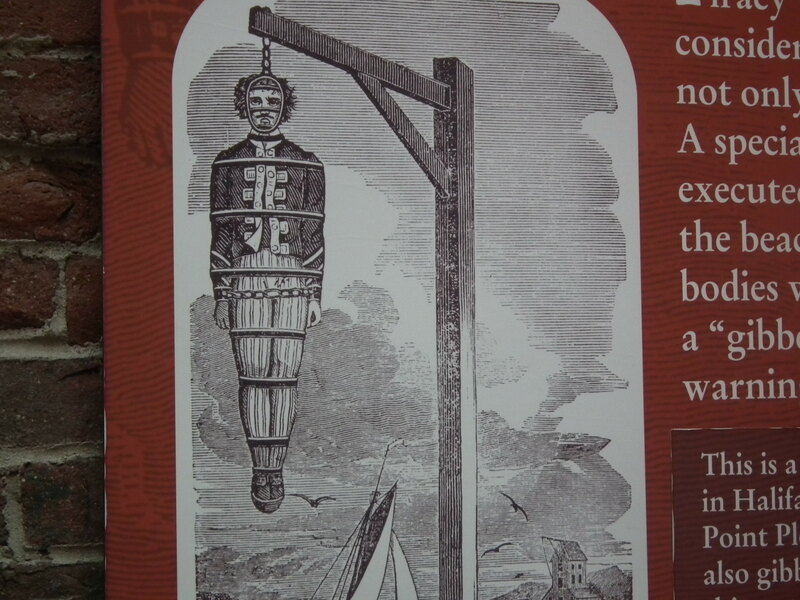 Their corpses were left to rot for years and circled the harbor for the birds to pick at as a warning to seafarers not to resort to piracy or mutiny. 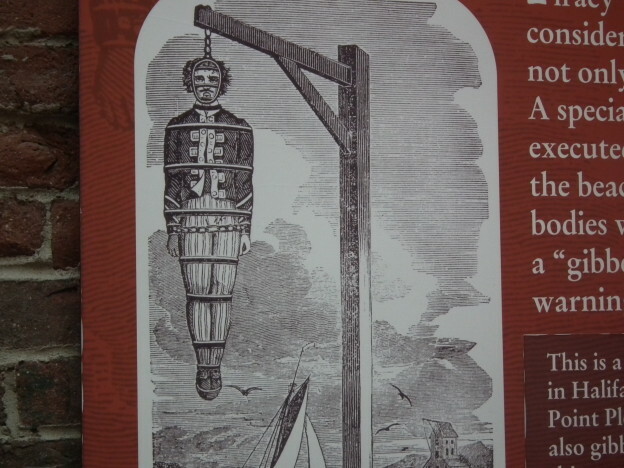 This poster and a life-size corpse greet visitors to the museum in Halifax. 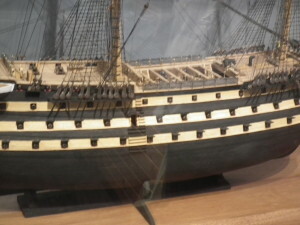 The Privateer Clause photos. 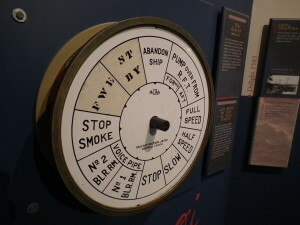 The museum is worth every cent of admission. 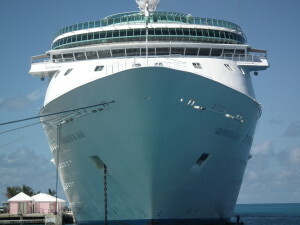 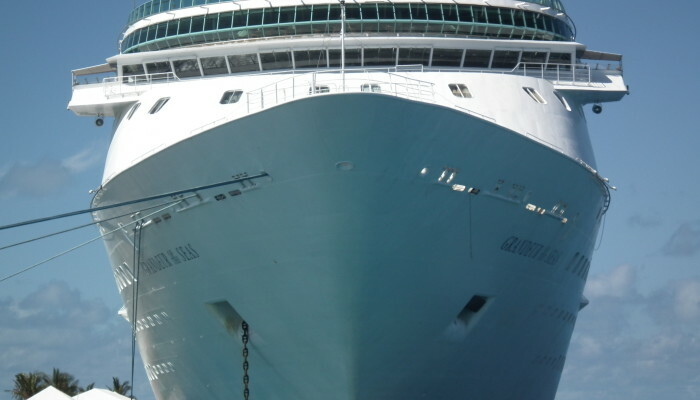 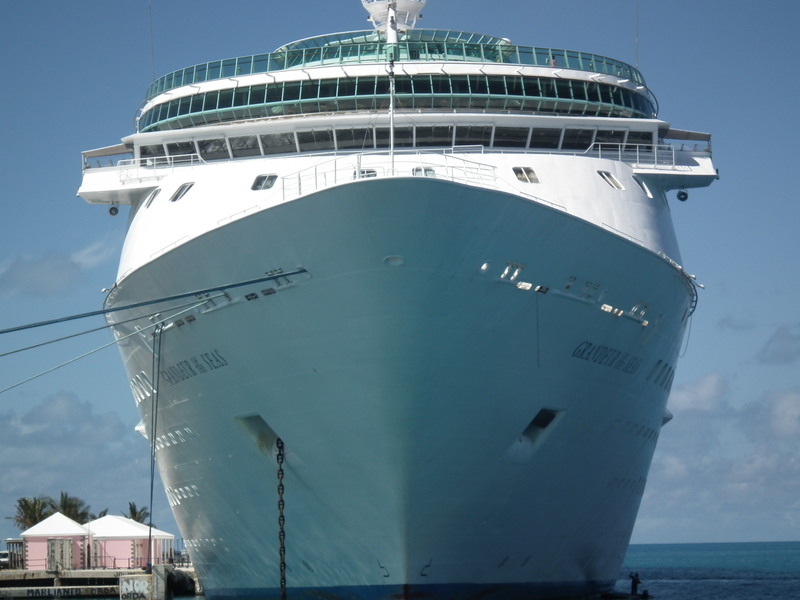 Those who cherish walking will find it takes about 15 to 30 minutes to hike there from the cruise terminal. A taxi ride for four is about twenty dollars. 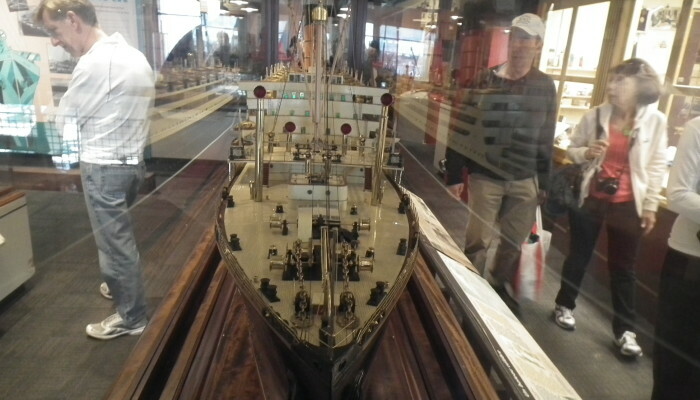 Great models, paintings and artifacts are everywhere in the museum. 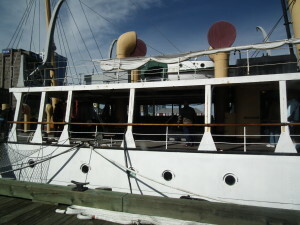 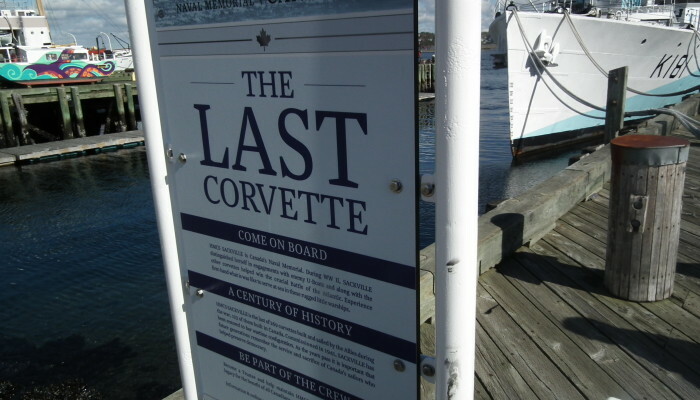 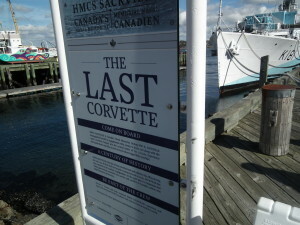 The last Corvette of the Canadian Navy from WWII is on display in Halifax harbor for public tours. 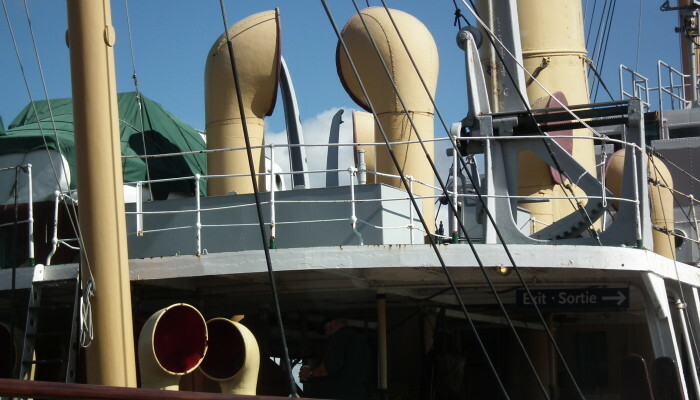 Full speed ahead, damn the icebergs! 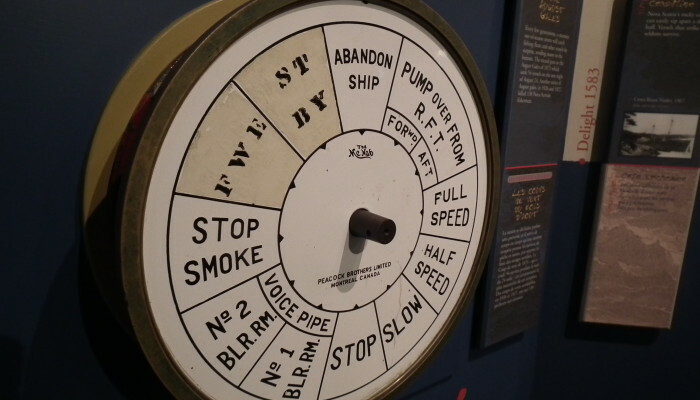 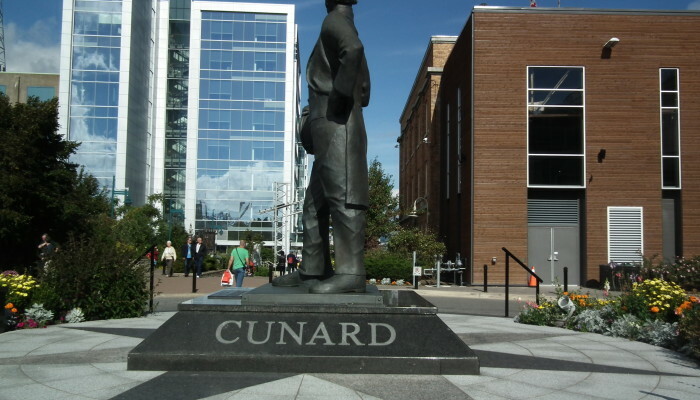 The Naval and maritime history of Canada is rich and proud. 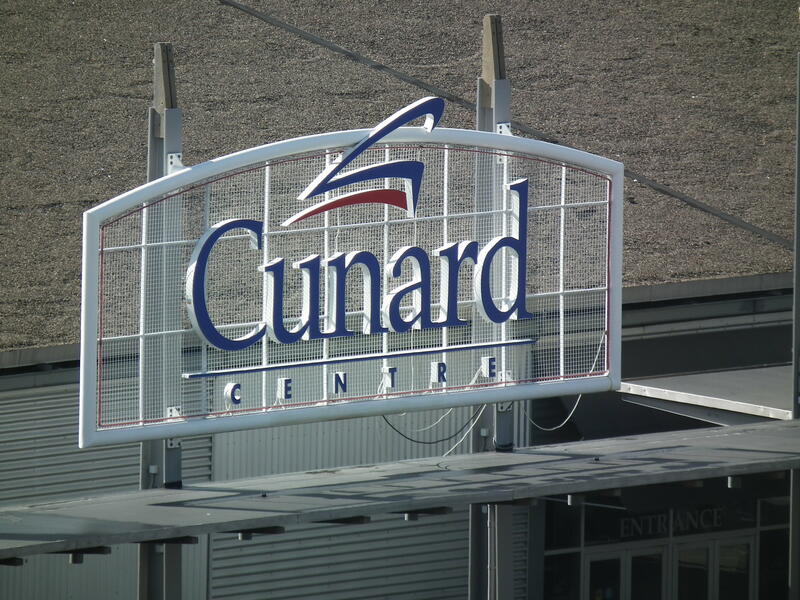 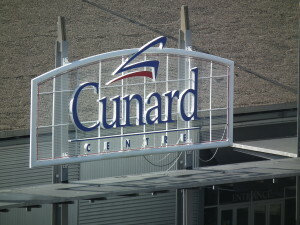 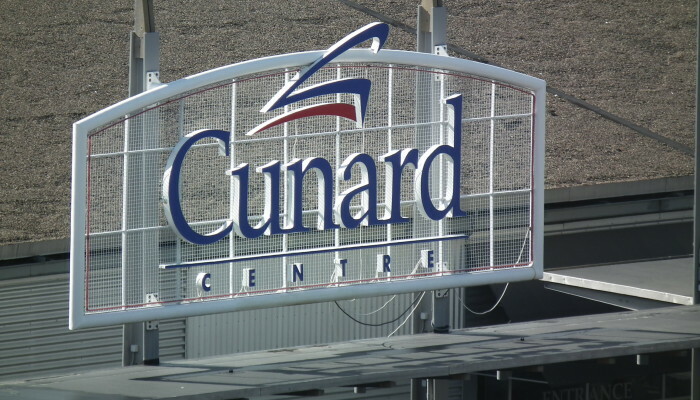 Cunard Line has a major terminal in Halifax. 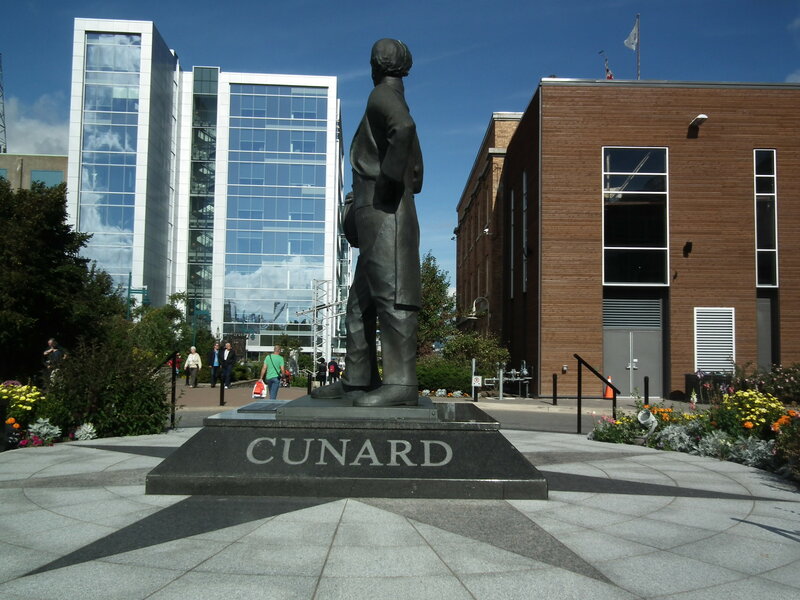 This statute honors Samuel Cunard the founder of the steamship line. No one will ever see a similar statute to Samuel Carnival or whoever founded Carnival unless that guy erects it himself. 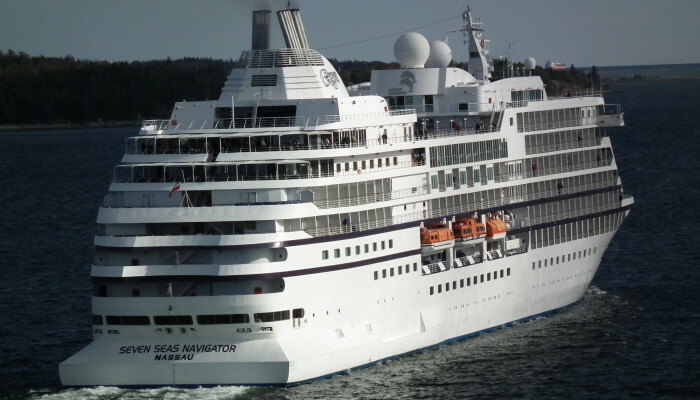 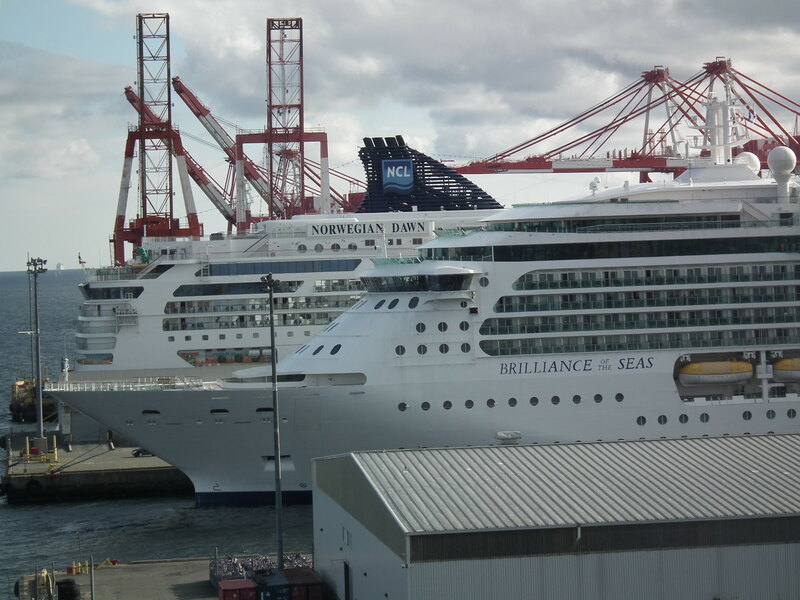 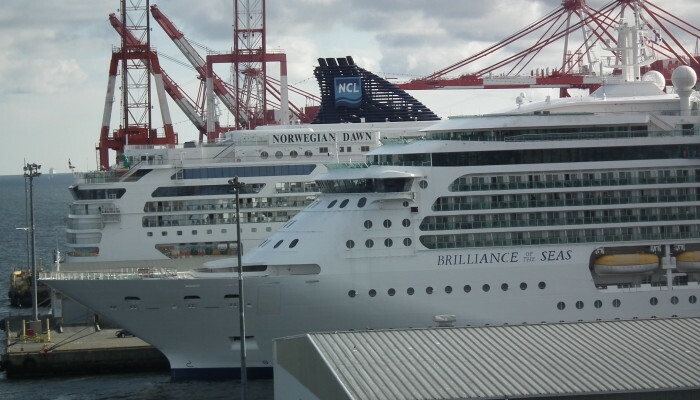 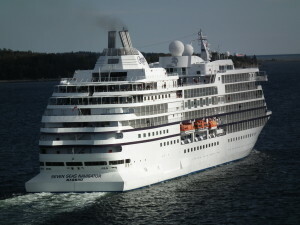 Halifax is a large port with lots of cruise ships and freighter traffic. 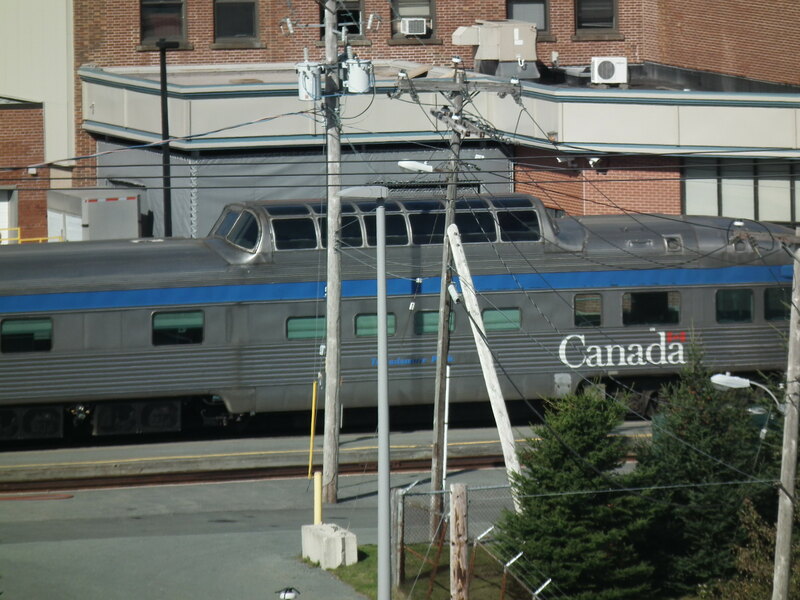 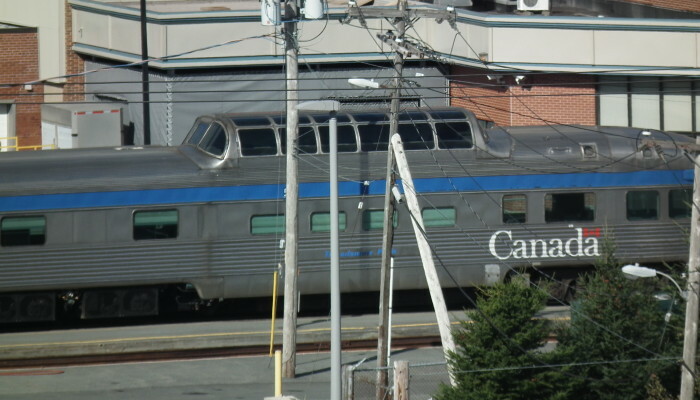 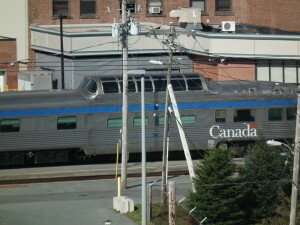 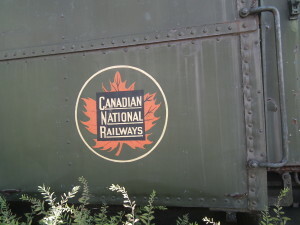 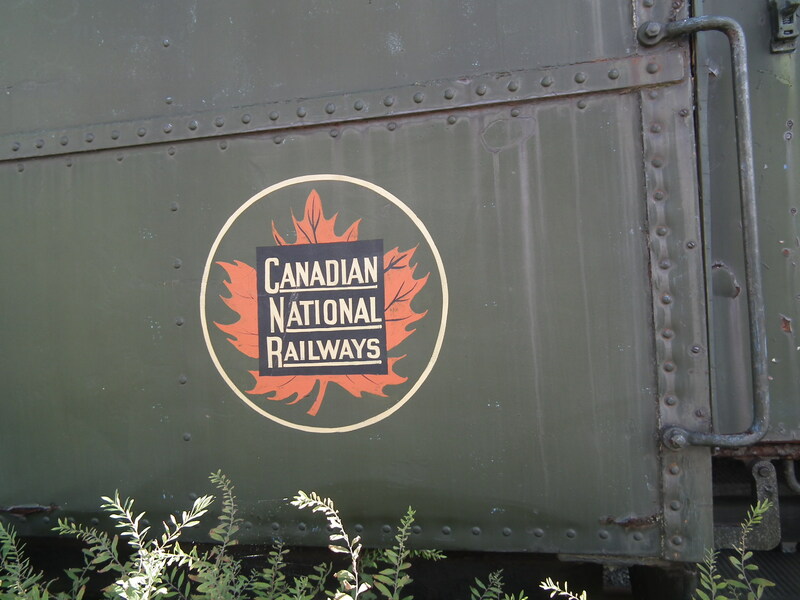 Trains leave Halifax to destinations across Canada. 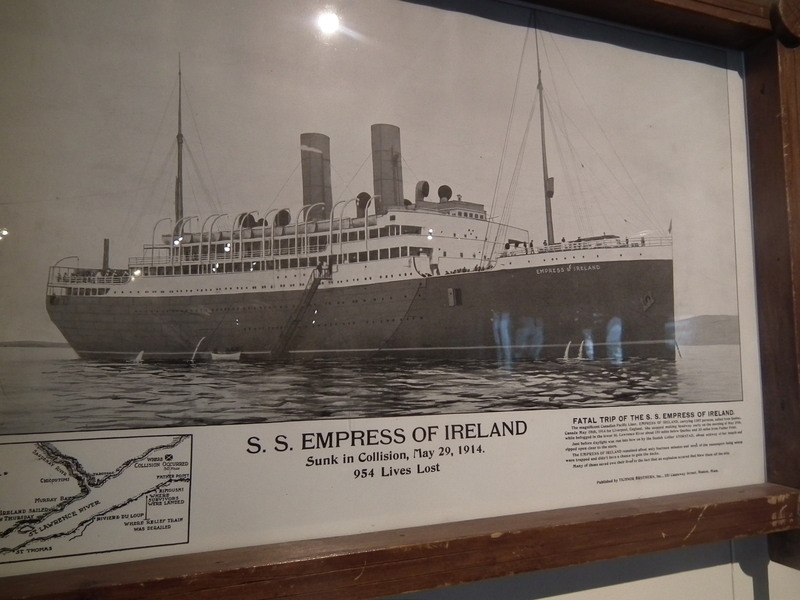 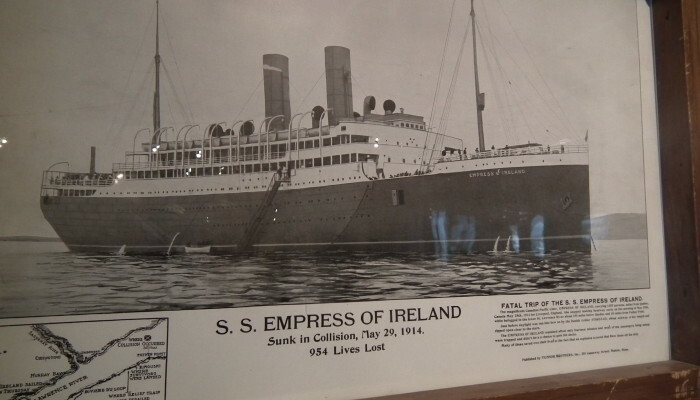 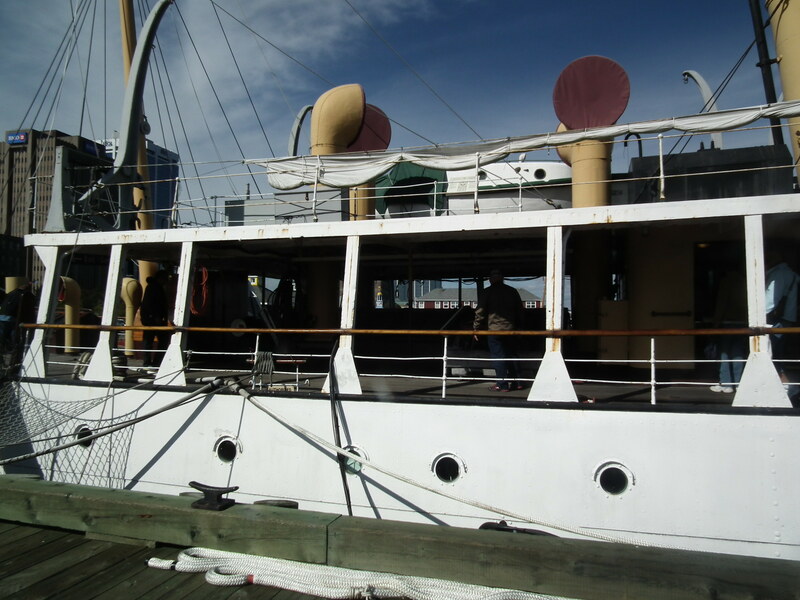 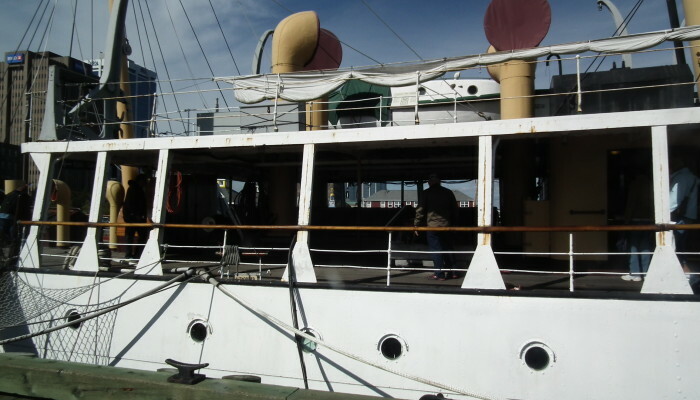 When the Titanic hit the iceberg a special train was sent to Halifax from New York to retrieve all the survivors. 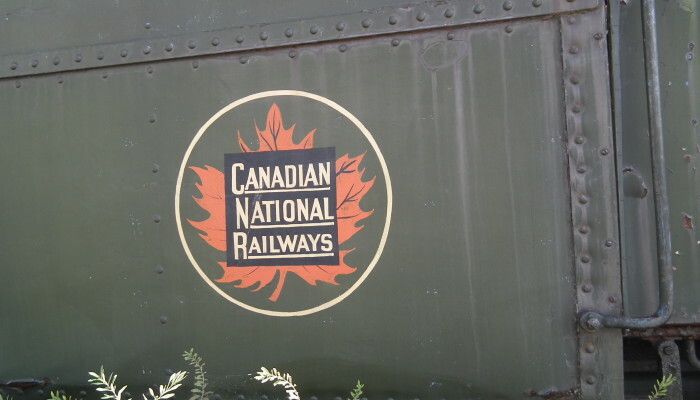 That train came back empty.